Implementing SEO Services for clients in a wide array of industries, I’ve learned to utilize some amazing tools for on-page SEO – and how much of a difference on-page SEO can make in helping your website rank high on search engines. On-Page SEO is critical because it influences the way in which Google and other search engines interpret the content on your page. Your goal is to ensure that your content is fully optimized for your chosen keywords so that the search engine is encouraged to rank you higher. Without proper on-page SEO, it’s likely that your competitors who have optimized their pages will sail past you in the SERP’s, even with worse content and a less powerful backlink profile. Learn best practice for on-page SEO and how to create copy to improve ranking and user engagement. What Are The Most Important Parts of On-Page SEO? Some elements of your on-page SEO are more important than others. Arguably the most important part is the actual keywords that you choose to target, if they are too competitive then you’ll never rank no matter how well you optimize your page. Performing thorough keyword research is crucial, this will help you to identify the phrases with the most search volume and also the correct level of difficulty for your website to target. Once you’ve picked out the keywords that you’re going to target, your on-page SEO should be centered around optimizing your page for those keywords and semantic alternatives. 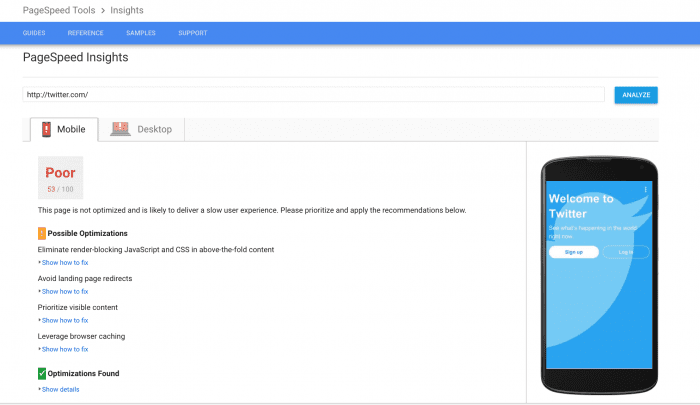 Critically, you’ll need to care for your title tag, header tags, image alts and optimization in the content itself. SEOCrawler is one of the industries leading on-page tools and is trusted by over 5,000 businesses to help them optimize for their chosen keywords. 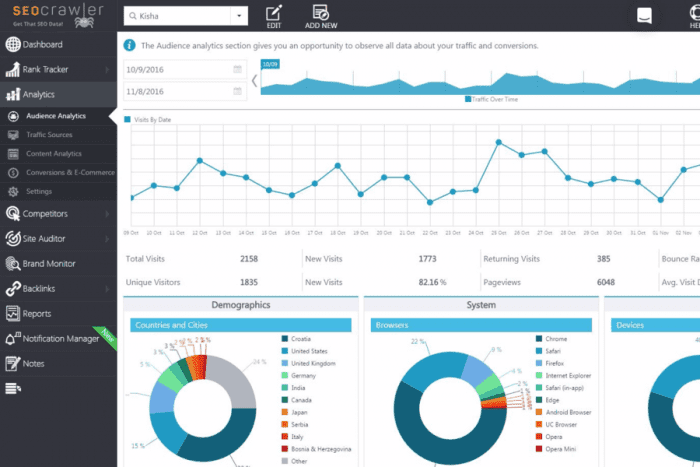 Their Site Auditor tool allows you to analyze your page with just a single click, showing you the page speed, duplicate tags, duplicate content, keyword optimization and broken links. Work that would have taken you hours of manual work now only takes a few seconds. That’s the true value of a tool like SEOCrawler - you can automate a process that would have otherwise taken hours of manual work. You save yourself time, and therefore you save yourself money each month. 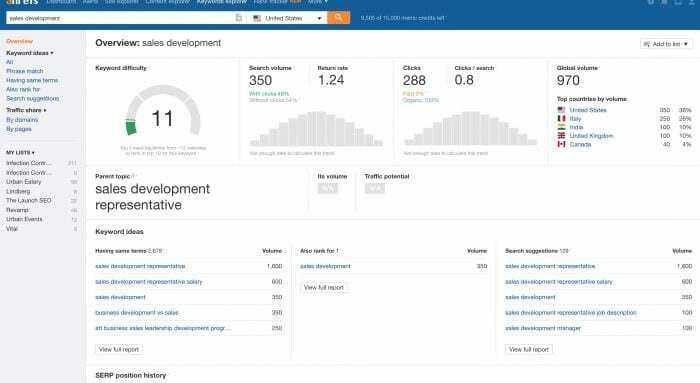 The Site Auditor will essentially give you a checklist of improvements that you can make to each page on your website; it’s like having your in-house SEO consultant. Once you do make those changes, you can track the results in their Rank Tracker, to see how the rankings for your main keywords change over the coming days and weeks. I’ve already explained why keywords are critical to any SEO campaign, they give you a target to aim for, and they allow you to optimize your on-page SEO for that goal. But keyword research can be incredibly frustrating, especially if you only have the Google AdWords tool. That’s why tools like Ahrefs’ Keyword Explorer have come to the market. It allows you to find new keywords for you to target, it shows you all of the backlink data for the ranking pages, and it even gives you a single score so you can easily compare keywords. But the magic of the Ahrefs’ KW tool is in the way that you can find new keywords. Most KW tools work by requiring you first to submit a list of seed keywords which the tool will use to find similar phrases that you could rank for. However, Ahrefs’ has this and much more. Most importantly, they allow you to find keywords that your competitors or other websites rank for. So, you can input a domain rather than a seed keyword and see a report of different keywords that they rank for. This is ideal if your website or business covers a range of topics or services. They also have another great option which is to see similar keywords that existing pages rank for. With this, you submit a single seed keyword and can see other keywords that the ranking pages also rank for. If you’re ordering content from a writer or a content creation company, then it’s critical that you use a tool like Copyscape to check if that content is unique. Nowadays you can’t get away with publishing duplicate content; Google cracked down on that game a long time ago. Instead, you need to ensure that your writers are creating truly unique content that hasn’t been copied from another source. 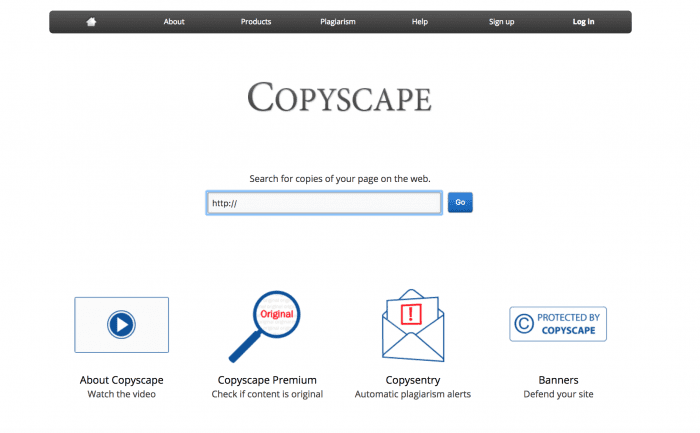 Copyscape allows you to copy and paste your content into their system and it will check it against all of their records to see if it’s unique. 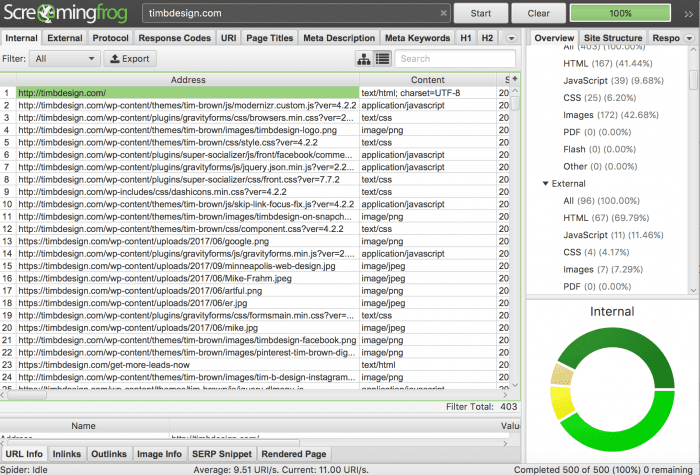 Screaming Frog is one of the oldest and most important SEO tools that our industry has ever seen. This innovative little tool is a crawler that will through all of your URL’s and fetch onsite elements so that you can analyze them. This allows you to find broken links, ensure redirects were properly created, analyze your page titles, generate XML sitemaps and even discover duplicate content. It’s one of the most powerful on-page SEO tools simply because it has so many features and the amount of data that it can give you is mind-blowing. More and more users are using the internet through their phones and with that often comes a slower connection and a different screen size. Google knows this, and that’s why they use page speed as one of their key ranking factors. Nobody wants to visit a page that loads slowly, especially if you’re on a mobile connection. Therefore, you need to ensure that you’re doing everything you can to optimize your pages to load as quickly as possible. The Google PageSpeed Insight tool will analyze your page and point out key areas where you can improve your page so that it will load faster and therefore rank higher in the SERP’s. Finally, we have the Moz On-Page Grader, a tool which analyzes your page and compares it to their existing checklist of SEO factors. This tool will output a result that grades your page overall and also on a more granular level so that you can make improvements. The great thing about all of Moz’s tools is that they are incredibly simple to use and have an intuitive and clean design that makes them ideal for beginners. If you’re looking for an easy to understand the on-page report, then this is a good start. Thanks to Tim Brown for sharing their advice and opinion in this post. 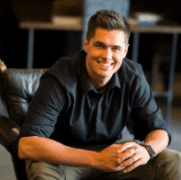 Tim is a Web Designer and SEO Specialist who runs a small agency Tim B Design - and loves helping small to mid-size businesses with their website design and driving traffic.